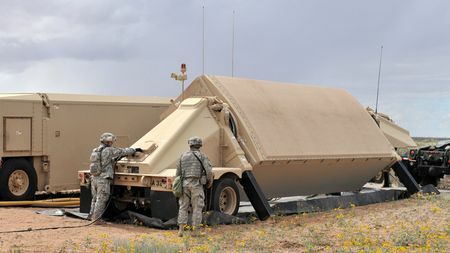 Antenna of the US AN/TPY-2 X-band radar system set up in the Negev. It is ostensibly there to monitor Iranian missile launches, but it can also see a small aircraft taking off from anywhere in Israel. Only American personnel are allowed anywhere near it. The Post notes the growth of the CIA budget to almost $15 billion in 2013, which I have to admit is a remarkable number, comparable to the GDP of Jamaica or Mozambique, and 50% more than that of the NSA — which, after all, has to read our email and listen to our phone calls. The total for all the intelligence agencies is $52.6 billion, close to the GDP of Croatia. We are making “targeted investments” (read: spending more money) in spying on these ‘targets’ and attempting to prevent them from spying on us — and Israel is a “key target” in the company of China, Russia, Iran, Pakistan, and Cuba! This is just plain astonishing, considering that the other “key targets” encompass most of the main threats against US security today. Keep in mind that unlike Russia, China and Iran, Israel’s main goal is survival, not expansion of its influence. Unlike Iran and Pakistan, it does not harbor terrorists or operate world-wide terrorist networks. Unlike Cuba, it is not a semi-hostile nation a few miles from US borders. Unlike China, it is not engaged in massive theft of intellectual property. The Israeli people are probably among the most pro-American in the world, and the government is remarkably ‘flexible’ — in my opinion, too much so — when called upon to subordinate its own interests to the demands of the US. The Post suggests that the emphasis on Israel is because “[it] is a U.S. ally but has a history of espionage attempts against the United States.” So do many allies, and as has recently become clear from new documents released in the Pollard case, Israel’s interests — unlike, say, Iran’s — are not in subverting or damaging the US, but in collecting information about threats against itself coming from Arab nations, Russia, Iran, etc. The obsessive interest in Israel surely can’t be about the ‘peace process’. I mean, really, how important or potentially dangerous is this when compared to the aggressive spread of radical regimes in the Muslim world, the possible implosion of Egypt, or a Syrian civil war that has so far taken about 100,000 lives including children killed by Sarin gas? And as far as threats go, are they watching the infiltration of Hizballah into South and Central America? Now there’s a threat to the US! For once, I can’t blame Obama. This has been going on for years (viz., the Pollard case). No, there is really only one explanation for this fixation on Israel by the US intelligence community. If I may be permitted a technical term, they are batshit crazy. 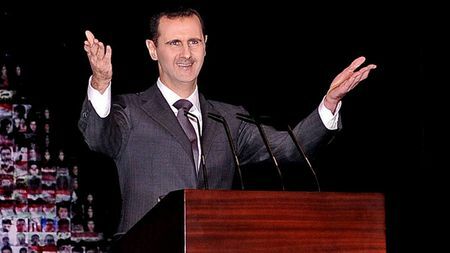 Bashar al-Assad. The tail of the snake. As the expected ‘limited’ Western strike against Syria draws closer, I admit to a degree of unease. After all, Western use of military force since 1945 has been fraught with incompetence and failure. There is a basic misunderstanding of what it is for and how to employ it. War is about crushing regimes and occupying territory. It is not about applying pressure in precisely calibrated ways. There are too many unintended consequences. Generals can (usually) tell you how to achieve military objectives, but political ones are another story. Even very bright people are often surprised by the outcome after what was intended as a surgical intervention turns into chaos. I am not saying that military force is never appropriate. Just that it should be reserved for big objectives. And ‘punishing’ Assad for using chemical weapons — but being careful not to remove him from power — is not a big objective. It is more about appearance than reality. It is also kind of absurd, seeing that Assad already killed some 100,000 Syrians with impunity with ‘conventional’ weapons. Suddenly he needs to be punished? Another interesting thing about the Western plan is that it has been described publicly in great detail before being executed. This is certainly an innovation in military strategy, unless everything that has been leaked is deliberately false (but I don’t think so)! It is as if the object is to appear to be taking action without actually doing serious damage (except to our military budget, since each Tomahawk costs about $1.5 million). Assad will have plenty of time to move expensive vehicles, aircraft, etc. The purported function of this attack is to send a message about red lines. But nobody will be fooled, and the message to Assad will be, at best, “be more careful next time”. If we must attack Syria, then we should destroy as much of her military capabilities and stock of weapons of all kinds as possible, force Assad out, and allow the various factions to split the country into ethnic enclaves. The trick would be to do this without allowing too many dangerous weapons to fall into the hands of terrorist factions. This would probably require Western ground troops and be expensive and difficult. The US and Europe don’t have the cash or the will to do this. Some have expressed anxiety that any provocation, even a minimal one, will cause Assad to respond by attacking Israel. Here we need to consider the possibility that Obama will tie Israel’s hands as Bush I did during the 1991 Gulf War. You will recall that several Iraqi scuds hit the Tel Aviv area, and although the US promised that it would take out the launchers, it proved unable to do so. Mass casualties were only miraculously avoided. PM Netanyahu has warned Assad that Israel would respond strongly to any attack. Although Netanyahu folded under Obama’s demand to release more than 100 convicted terrorists in order to please the PLO, there are limits (somewhere). I cannot imagine that an Israeli government that allowed Syrian missiles to kill its citizens without a response would survive. We should keep in mind that an ineffective or partial Israeli response would play into Assad’s hands — he has been claiming all along that Israel is behind the insurgents. So any response short of one strong enough to end his regime (or his life) would simply help him make his point. We know that the US doesn’t want to go that far. So as usual, Israel is placed in a tough spot. It will need to be prepared to defy the US, and to credibly convince Assad that it will do so if necessary. The most important argument used to support attacking Assad’s regime is that, by bringing it down, the west would deal a grievous blow to Iran, Syria’s puppet-master, which itself poses such a terrible threat to the region and the world. But this is yet anther incoherent and essentially weaselly proposition. The intention, don’t forget, is not to get rid of Assad but merely to deter him. Weakening him, however, will not hit Iran. It may well merely drive Assad further into Iran’s embrace, and in the process strengthen the influence of Russia over the region – already increasing exponentially as the Middle East and Muslim world gaze at the wreckage of American influence and cosy up instead to the toughest guy on the block. There is only one way to hit Iran – and that is to hit Iran. Attempting to weaken Iran by striking at Assad is to look at the problem the wrong way round. To neutralise the puppet Assad, the west has to strike the puppeteer, Iran. Unfortunately, we are even less likely to “cut off the head of the snake” than to step firmly on its tail. Hell’s Angels. Like Bashar al-Assad, their power of deterrence comes from their reputation for ruthlessness. Predictions of an apocalyptic Middle East war following a US attack on Syria are premature. None of the players are interested in a serious confrontation. President Obama feels boxed in by his ‘red line’ promise, and it appears that it will be impossible to pretend that the line was not crossed. So he will, with the cooperation of the UK and perhaps France, symbolically strike some assets of the Assad regime. This will be coordinated in advance with the Russians, who will make a lot of noise in public, but in private will not be concerned as long as Assad’s hold on power is not threatened, which it will not be. Assad’s threats to retaliate against Israel also fall in the category of noise. His overwhelming concern is to stay in power, and although he finds it advantageous to link Israel to the ‘terrorists’ he is fighting, he knows that Israel is in fact neutral in the conflict. Why upset this applecart and risk really painful reprisals? • It terrorized the Sunni civilians who are supporting the rebels. Remember, this is as much an ethnic war as a political one. 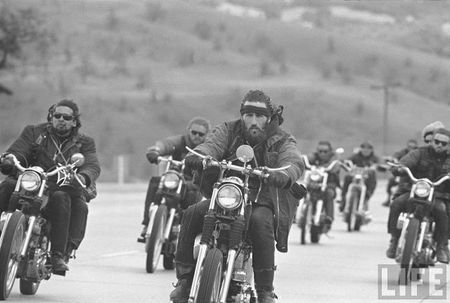 Like the Hell’s Angels motorcycle club, much of Assad’s deterrence depends on his reputation for being ruthless, even ‘crazy’ (although he is actually quite rational). • It embarrassed Obama. The weak response that will follow will prove to Assad that Western opposition will not be a significant restraint on his freedom to do as he wishes. The downside for the regime will be a few Tomahawk impacts, possibly on empty buildings, but certainly not enough to affect the outcome of the civil war. I could be wrong, but I don’t think so. Some say that Bashar al-Assad is viciously murdering civilians in rebel-held areas of Syria with poison gas. Others insist that maybe the rebels themselves are doing it, or perhaps aliens from another galaxy. Although it seems to me that the evidence against Assad is close to overwhelming, it is not apparently not overwhelming enough for the humanitarians of the world to do anything more than talk about it. Intelligence services of US ally Israel have indicated that they think that Assad, and not an alien death star, is actually gassing women and children to death. Obama is right that the US can’t end the Syrian conflict on its own. But the US can end the gassing. I present the following plan to President Obama at no charge. If he wants, he can do it today. if there is more gassing, increase the number of targets and go to step 1. Note that whether this results in regime change in favor of the rebels is entirely up to Assad. Of course nothing is more important to him than staying in power. But wait! What if all the videos are fakes? What if the rebels or space aliens really are responsible? Simple — just add a step 0: give Assad an ultimatum that he has 12 hours to permit an inspection of the scene of the alleged crime. If he refuses, or if inspectors find that he is in fact guilty, then go to step 1. This requires even less commitment than a no-fly zone, and puts the onus entirely on Assad. I’m quite serious. This can’t continue, both because it is atrocious and because of the precedent it sets. The West needs to act, for once, against barbarism. Qatar is a tiny peninsular kingdom (the precise term is ‘hereditary emirate’) located between Saudi Arabia and the Persian Gulf. Although it has a population of 2 million, less than 250,000 are citizens — the rest are foreign workers, who are treated abominably. But those 250,000 have the highest per capita income in the world, thanks to huge reserves of natural gas and oil. It may sound like just another crummy little Arab petrocracy, but there are several notable things about Qatar. 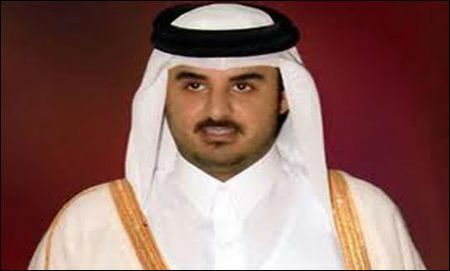 One is that Qatar is a major supporter of Hamas, one of the few organizations of any significance that is out-front about wanting to exterminate the Jewish people. Hamas leader Khaled Meshaal lives in Doha, Qatar (he formerly resided in Damascus), and the previous Emir visited Gaza last year and pledged $400 million to the terrorist group. The other thing about Qatar is Al Jazeera. The Al Jazeera satellite channel, owned by the government of Qatar (i.e., the al-Thani family) has enormous influence in the Arab world. It covered the wars in Afghanistan and Iraq more closely than any of the US or European networks, and was instrumental in stirring up worldwide condemnation of Israel during the 2008-9 war in Gaza when it presented continuous footage of bleeding and dead children, much of which was from other times and places. It is openly partisan, almost never showing Israeli deaths or injuries. It is also provocative and upsetting in a way that looks nothing like news in the West. Their broadcasts routinely feature mutilated corpses being pulled from the scene of an explosion, or hospital interviews with maimed children, who bemoan the loss of their siblings or their parents – often killed in front of their eyes. Al-Jazeera splices archival footage into the live shots, weaving interviews and expertly produced montages into a devastating narrative you can follow from the comfort of your own home. This is news without even the pretense of impartiality. After several days of following the Al-Jazeera coverage of Gaza, I’ve never seen a live interview with an Israeli, neither a politician nor a civilian. In the Al-Jazeera version, the Gaza conflict has only two participants: the Israeli army – an impersonal force represented as tanks and planes on the map – and the Palestinian civilians, often shown entering the hospital on makeshift stretchers. There are few Hamas rockets and no Israeli families. It’s not hard to see why Al-Jazeera is accused of deliberately inflaming regional enmity and instability. Al Jazeera has been the leader in that are literally changing people’s minds and attitudes. And like it or hate it, it is really effective. In fact viewership of al Jazeera is going up in the United States because it’s real news. You may not agree with it, but you feel like you’re getting real news around the clock instead of a million commercials and, you know, arguments between talking heads and the kind of stuff that we do on our news which, you know, is not particularly informative to us, let alone foreigners. Although Al Jazeera has had an English-language service and website for some time, they had nowhere near the influence of the Arabic channel — until yesterday, when Al Jazeera America (AJA) went on the air. Presently available in only about 40 million US households — some cable companies, like Time-Warner Cable, decided that it wasn’t in their best interest to support the network that brought us Bin Laden’s taped threats — AJA has fancy studios (including one in the Newseum in DC, not far from the White House), a plush headquarters in New York and 12 US bureaus. It is working to get more cable outlets. Possibly it took Clinton’s advice, because the 24-hour channel will provide 14 hours of news, with only 6 minutes of commercials per hour (US cable channels have 15 minutes). It plans to do longer, in-depth stories on all kinds of national and international issues. You can bet that it will have a slant significantly different from that of Fox News, or even CNN or MSNBC. AJA has hired some 800 to 1000 employees (sources vary), including big names like Soledad O’Brien, John Seigenthaler, Ali Velshi, Antonio Mora, Michael Viqueira, Joie Chen, Sheila MacVicar and others. Its president will be former ABC executive Kate O’Brian. Probably none of these people would have gone to work for Radio Moscow during the Cold War, but they don’t seem to have a problem with Qatar — nor did Al Gore and his partners, who gave AJA a start by selling it the failing Current TV channel for half a billion dollars. Of course they are all ‘professionals’, which I think means people who will do whatever is necessary to make a buck. I have often wished for an Israeli “Al Jazeera” that would tell Israel’s story, which is overwhelmed in the flood of anti-Israel propaganda from Al Jazeera, and (just a bit more subtly) from media in the US and Europe. But either Israel’s government thinks it can’t justify the expenditure, or its left-wing media establishment isn’t capable of producing pro-Israel material. In any event, when Hizballah’s missiles begin to smash into Israeli towns and cities, and Israel’s air force takes out the launchers — which the humanitarians of Hizballah have built into bunkers under civilian homes in southern Lebanon — you will get close coverage from Al Jazeera America.